I have an 03 G35 Sedan exhaust for sale. 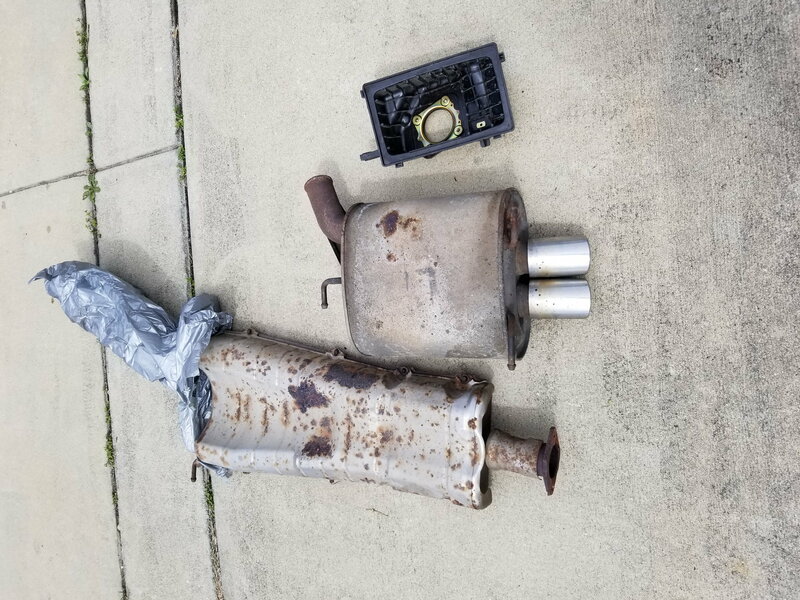 The muffler, resonator section and y pipe (not pictured but I have it). I am looking for trades on the following items. Alternatively, you can make a cash offer for them. Local pick up preferred but will ship on your dime. Paypal verified or us money order snail mail.